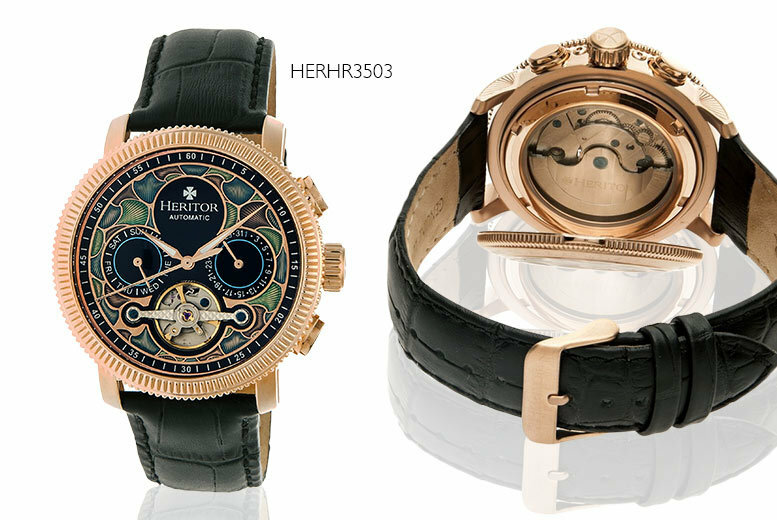 Each automatic watch from the Heritor Aura series features a clear cut-out face with the signature skeleton detailing. 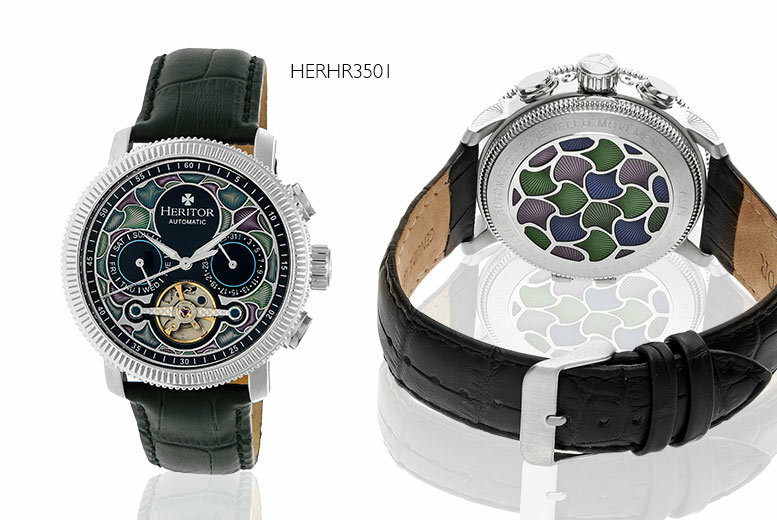 The beautifully-crafted watches combine conventional features like crocodile-embossed leather straps and sleek stainless steel cases with a statement cloisonné metalwork finish. Get a statement Men’s Heritor Aura watch. Choose silver, gold or rose gold. 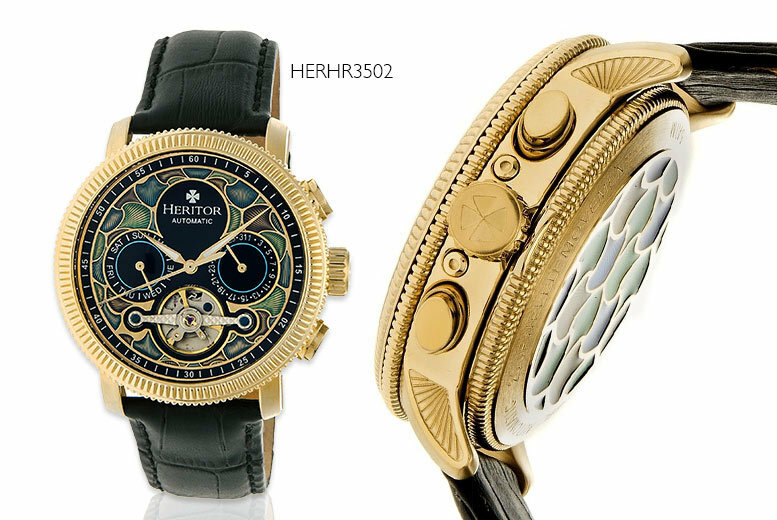 Gorgeous cloisonné detailing for a unique twist on a classic dress watch. Day and date display sub-dials.